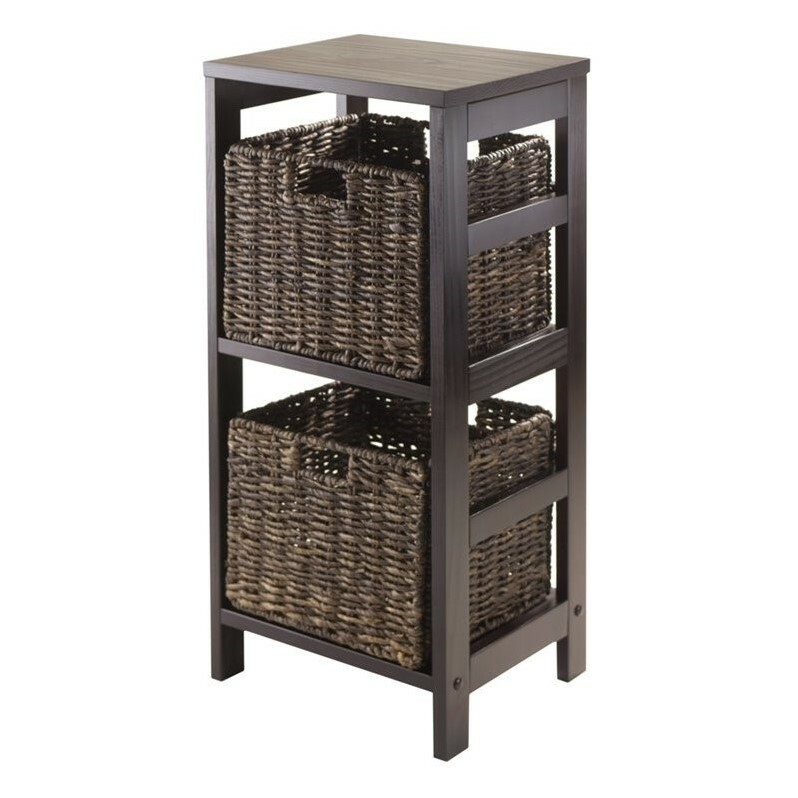 Storage Shelf with Foldable Baskets is perfect to storage and organized your goodies. This set comes with open shelf and two foldable baskets in chocolate color made from corn husk. Shelf assembled size is 25.20"W x 11.22"D x 29.21"H. Shelf is made from combination of solid and composite wood. Foldable corn husk basket is 11.02"W x 10.24"D x 9.06"H when open and folded is at 19.88"W x 9.45"D x 2.36"H.